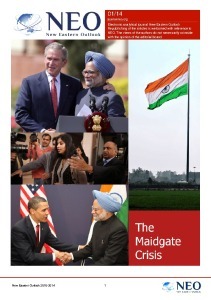 As September 6, the date of the first ever 2+2 ministerial dialogue between the U.S. and India (with the participation of the Ministers of Foreign Affairs and Defense of both countries) slowly recedes into the past, its importance for the overall development of the situation in the entire region of the Indian and Pacific oceans and the sub-region of South Asia becomes more clear. An important consequence of this meeting may be serious adjustments to the positive trend in relations between the two Asian giants (India and China), launched at the end of April during the “informal” meeting of the two leaders in Wuhan. The further development of the positive foundations laid down in Wuhan would have the inevitable consequence of undermining the long-term efforts of the U.S. to turn India into one of its main “balancing” elements designed to counter the growing influence of China – the main geopolitical opponent of Washington – in the region. In the case of imposing the “Wuhan trend” on the no less significant positive developments in China’s relations with Japan, the prospect of a complete collapse of plans to build such a “system” would become quite real. Such a turn of events Washington would not tolerate. But in order to return New Delhi to the “righteous” path and convince it to prefer relations with the U.S. over those with China, it was necessary to offer something hard to resist. The problem is that India continues to maintain mutually beneficial relations with Russia and Iran. However, since the summer of 2017, these two countries have been the “crossfire targets” of U.S. Congress which basically took over the conduct of Washington’s foreign policy. Ever since the “Countering America’s Adversaries Through Sanctions Act” (CAATSA), adopted in August 2017, anyone who continues to support large-scale trade and economic relations with “America’s enemies” automatically falls under its sanctions. Meanwhile, India has not yet expressed its intention to abandon long-standing ties with Russia in the defense industry, or its purchase of Iranian oil. Therefore, without the consent of U.S. Congress to make an exception to the CAATSA for India (and other “friendly countries” like Vietnam) , Mike Pompeo’s and James Mattis’ trip to New-Delhi would have lost all meaning. This agreement was obtained, although the congressmen noted that this made a major gap in the universality of CAATSA, the possible consequences of which are difficult to assess today. Precisely this is implied when we hear of the “serious concessions” made by the U.S. in light of M. Pompeo’s and J. Mattis’ negotiations with India’s Ministers of Foreign Affairs and Defense Sushma Swaraj and Nirmala Sethuraman, respectively. 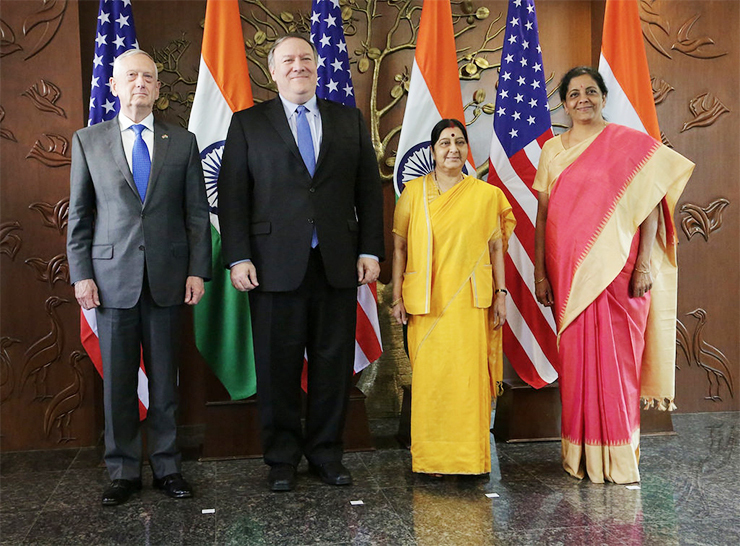 India has accepted the “gifts” of the American “Denyens”, an impressive list of which can be found in the “Joint Statement” on the results of the 2+2 ministerial dialogue. This was a major foreign policy success for the United States, which demonstrated that its state body still has the capacity for coordinated work in critical cases, despite the aggravation of the domestic political struggle. The official reaction of Beijing to the events in New Delhi was brief, restrained, and neutral. But already on September 11, an expert article appeared in the Global Times newspaper under the symbolic headline ‘India playing wily game with US, Russia and China’. Note the choice of words in the title: “wily” may also be defined as “insidious”. The last time the two leading Asian powers exchanged such remarks was a year ago during the military confrontation on the Doklam plateau in the Himalayas. So what does the Chinese expert accuse India of, in relation to the U.S.-India talks held in New Delhi? Among other things, the vital problem is India’s move towards formalizing allied relations with the United States. This is evidenced, first of all, by the establishment of the 2+2 format in bilateral relations. Which, I will personally mention, is a necessary, but clearly insufficient sign of allied relations (such a format exists, for example, in Russian-Japanese relations). But the weight of this argument increases dramatically if we bear in mind that three agreements in the field of military cooperation mark the alliance of the U.S. with any country. The first of these (The Logistics Support Agreement) was concluded in August 2016 between the U.S. and Indian ministries of defense. It provides for mutual logistic support of combat units of the countries-participants of this agreement. The second agreement (Communications Compatibility and Security Agreement, COMCASA), which ” will provide India with access to modern communication security systems and allow optimal use of its existing U.S. military equipment”, was one of the main results of the current 2+2 meeting. All that remains, according to the author of the GT article, is to conclude the third “Basic Exchange and Cooperation Agreement for Geo-spatial Cooperation”, which ensures an exchange of data in the field of “geospatial” exploration, i.e. cartographic data for a particular area of the earth’s surface. Following such arguments, the author of the present article has nearly lost the modest optimism inspired by the advancements in Sino-Indian relations over the past six months. Moreover, the exact definition of the word “wily” intended by the Chinese expert doesn’t seem to be an idle question anymore. Whether we want it or not, many questions now arise. In what light should we now regard the events of a few months ago in Wuhan, as well as the Shanghai Pact and BRICS meetings? And what do all the smiles, friendly hugs, and loud words “about a new era” in Sino-Indian relations mean today? Was all that just a tactical maneuver made by New Delhi on the eve of its strategically significant U.S.- Indian 2+2 talks? 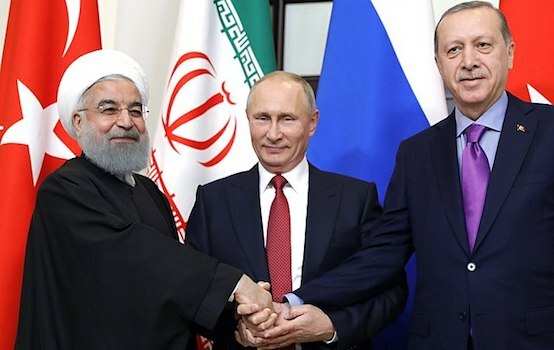 Is it really possible for the Indian government to refuse (as the authoritative Indian expert believes) the completion of the long-discussed deal with Russia on the supply of S-400 air defense systems, or the purchase of Iranian oil? I’d like to believe that we do not yet possess all the necessary information on the matter of “USA-India-China-Russia” relations, and that, in fact, things aren’t so bad. Meanwhile, Pakistan – a rather important player in the region- may be yet another victim of the U.S.-India meeting. In the “Joint Statement”, we see significant accusations and hardly feasible requirements posed before Islamabad. Note that on the way to New Delhi, U.S. Secretary of State M. Pompeo stopped in the Pakistani capital. During a brief conversation with the new leadership of the country, he confirmed the previously indicated refusal of the U.S. Department of Defense to provide military assistance to Pakistan in the amount of $ 300 million. All this against the background of the country’s extremely difficult financial situation inherited by Imran Khan’s new cabinet which showed the desire for a drastic improvement in relations with India. The insidious (in this case, the word is quite appropriate) remarks of Western commentators on the Pakistani financial crisis is due to the fact that it is directly associated with the start of the China-Pakistan Economic Corridor (CPEC) project. A project sure to be very expensive. But the devastation of the Pakistani Treasury is mainly due to the rise in global oil prices, as Islamabad buys 80% of its oil from abroad. In the conditions emerging after the U.S.-India 2+2 meeting, the continued China-Pakistan rapprochement is probably inevitable even under the new Pakistani government. At the heart of this process we again see the CPEC project, on the implementation of which Chinese Foreign Minister Wang Yi held talks in Islamabad on September 10. The next day, Chinese Foreign Ministry spokesperson Geng Shuang expressed satisfaction that the Pakistani Ministry of Commerce has refuted the negative report made by the British newspaper The Financial Times regarding the CPEC project. In general, it seems quite obvious that following the U.S.-India 2+2 talks the game within the South Asian section of the regional chess board has been considerably aggravated. What remains for us is to only observe its further development.